my name is Joakim and some friends call me Jojo. I am originally from Sweden and this where I live now. 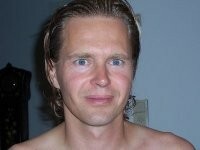 I spent around 13 years abroad living in Belgium and later on in Senegal in Africa. I have a very varied background, I have been working at the European institutions at the Swedish Embassy in Dakar, as a diving instructor and now I am driving a long distance truck between Sweden and Luxembourg. I have been a member of Wealthy affiliate on two different occasions before and the last time was a couple of years ago. I have tried other trainings as well but finally decided the wealthy affiliate would be the best. I have tried soo many things over the years, gone through a lot of training, started and abandoned a lot of projects. A lot of the time I have been active and tried to move forward but I have also had long periods where I did nothing, simply for the reason that I could not decide on what to do next. So my main problems over years has been to stay focused on what I do and to keep faith in what I do. In any case, now I NEED this more than ever. My financial situation is bad and this is my DREAM so this time I will do whatever it takes to succeed. I would be very greatful for any advice and help I can get and I am more than will to help others as well, we are all in the same boat I reckon. Soo Cheers everyone, I am happy to be here and looking forward to working with you. Joakim, Elementor id the best page builder I have found. it is easy to learn was fast. the are several great tutorials, by Darrel Wilson on youtube how to use it. I recently upgraded to The Pro version. the two free themes that work best with elementor are Aster and Oceran11. I had tried the competition , Divi but found the learning curve was by far and away more difficult, for me. let me know what you think. Thank you, I am really eager to try it. So I will check it out and then I will get back you. Hejsan Joakim thanks for the follow. I'm glad to add you to my network and will certainly follow you back. We have several things in common. I also left WA after my first year here. I i joined a very lucrative CPA program that paid you up to $60 per lead, with this program I made $5000-8000/mo but after 7 months they closed the program and then i had to start from scratch again. 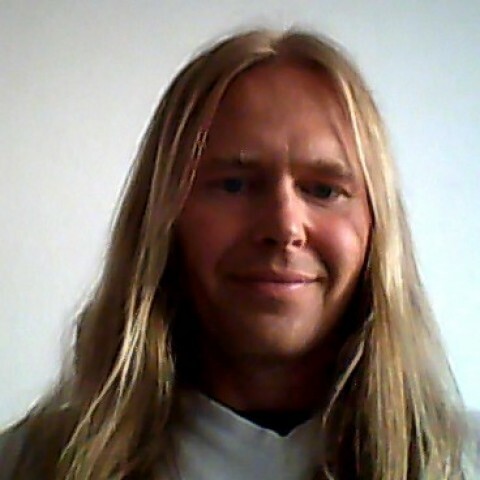 We are also both Scandinavian and truck drivers, but now I only need to work 2 days a week because my 2 websites are starting to do pretty well. What I realized when I was away from WA is that you need at least 1 well established website as some sort of "homebase" for your business (many affiliate programs wont approve you if you don't have one) and there's no better place to learn how to build a proper website/blog than WA, so let's stay this time. Hi there and thank you. Like you say, we seem to have a lot in common. I will certainly follow you closely you seem to have the right urge and attitude to succed. I do have one question about creating a new strategy for my site. I will send you a PM if that is ok.
Hi Joakim. Thank you so much for the follow. I have also added you to my network. Am sure we will learn from eachother as we grow to the top here at WA. Good luck Jojo! Let's stick with it in 2018, we can do it! Good luck to you and yes, we can do it. Hi Joakim, I am following you back now. I hope you are doing well here. Well I am not making any money yet but I keep on working, I will NEVER give up. Nice to know someone from Sweden who could have succeeded earlier online. But it is not yet late for you to catch up. You are in the right place to realize your goal and many of our colleagues in WA are expert who can help us out. Cheers for the new year and new friends!!! you are right, it is not too late, it never is but I am fed up with waiting soo this year I have decided to work much harder and I will realize my dreams. Cheers and Happy New Year! Let's keep in touch. I am about to make some real changes both to my life and my site so I am happy for all support I can get. I have been inactive for too long but I am slowly but surely getting back into things. If I can be of any help to you, let me know and I will do what I can. If I can help, support or become someone to buddy you through this by sharing our journey and difficult times please let me know. Success and determination to you! Thank you very much. I really appreciate this. I would be grateful for any help and support I can get and of course I will return the favour. With your experience you have a lot of money making options. Thank you, now I just have to make it happen and I wish you lots of success as well. It's a journey!! Let's rock WA!! Over a million Swedes left their homes to move to America, there were hard times in Sweden at during the 19th century and the beginning of the 20th. In America waited new opportunites and a new better life for those willing to work hard. I wish you the best of luck with your marketing. Lets keep in touch and help each other out. Thanks! My g-grandfather set the lumber grades for White Pine, he eventually became a plant superintendent in Minnesota! Hello Joakim, congratulations on a huge jump in your ranking with W/A. I have started with W/A a year ago and was active for about 4 months up to December. Since then almost no activity. I am trying to get back to it again. Thank you. Well I was happily surprised of the jump in the ranking and I am not quite sure I deserve it either, but I guess I must be doing something right. What I need to do now is to get back into work and make my website successful as well. Hard to keep focused sometimes as there is soo much distractions from other parts of daily life. I wish you good luck and lets keep in touch. If there is anything I can do to help, just send me message. Dear Jojo, thanks for sharing and for accepting my invite, much appreciated. Seems you're doing very well, so keep on track and let's stay in touch. Dear Desmond. W'ell keep in touch, I am sure we have a lot to learn from each other. Hello Joachim. Following you back. Have a great successful journey here! Btw. I think you were following me previously. I've had some contact! Thank you and success to you to. Thank you and I wish you great success as well. yes connecting with people is really one of the strong points of this community and the encouragement given here has many times stopped me from giving up. Nice meeting you joJo, and thank you for following me! Best of success to you. Thank you and great success for you too. Heh there JoJo and thanks for following me. I admire your get back on your feet and try again attitude! I wish you all the success you desire as you get rolling one more time. Looking forward to helping each other as we move along here. Hi there and thank you very much. I am here to succeed, giving up is not an option, even if it will take longer than expected. Wishing all success as well and we will keep in touch and help each other out. I just left a comment on one of your posts. I was so impressed at how thorough it was, I decided to follow you. Plus, there's a possibility that I may get a dog in the near future, so your site would be exactly what I need! Greetings Veronica and thank you for your kind words. I would be happy to help so if there is anything I can do for you just drop me a line. I will certainly do soo, I also enjoy supporting others, and this is the most important part of this community. The fact that you can get help when you need it. So happy I ran across your follow. I enjoy supporting others and following them back. Continue supporting others within the community. Thank you Cheryl, its good to meet you too. I wish you all success. We shall both succeed. It's good to meet you, Joakim. I know exactly what you mean about staying focused...it's one of my main problem areas, too! I do wish you much success this time around on Wealthy Affiliate. Thanks for the follow Joakim ! Have a wonderful day ! you are welcome, have a great day too. Thank you for your follow, Joakim! Thanks for the follow Jojo, and I wish you much success with WA. Hi, they call me the OldMule. Thanks for the follow. Why not read my profile, and my unusual blogs - you will understand why I say that! Hi there and thankyou, I will check your profile and certainly get back to you. I am doing just fine thank you. I in the process of trying to find new niches and to start new projects. I have not been soo successful so far but I am on the right track. What about you?? I hope what I wrote made sense to you, otherwise just mail me and I will try to explain better. 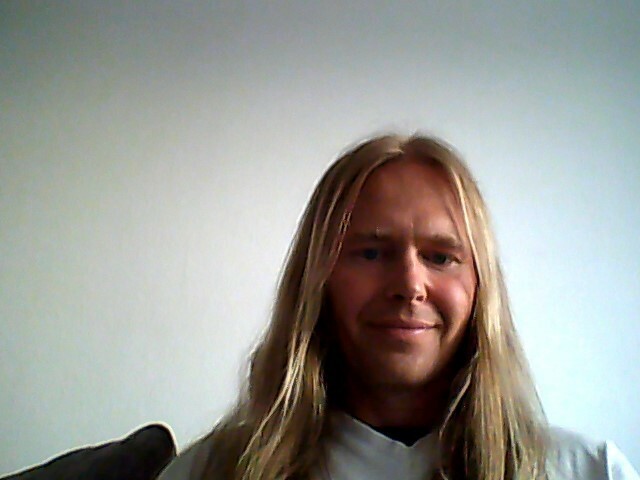 Hi Joakim - Just thought I would drop by to see how you're doing and to say how much I appreciate your help. The value of short posts!